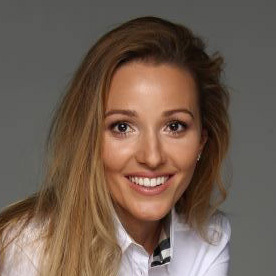 Jelena Djokovic is the National Director of the Novak Djokovic Foundation - school building and learning organization whose mission is to change the world and status quo by investing in children, educators, parents, and youth through education. She is also the founder of the Original Magazine - an ambitious start-up owned by the Foundation whose goal is to empower youth to live their own success story. Jelena is a strong believer in the lifelong learning concept and the strength that lies in empowering children, youth, and adults to be proactive, agile and positive about themselves. This belief fuels her passion and motivates her to always strive to do more. Besides being an accomplished businesswoman and graduate of the prestigious ‘Luigi Bocconi’ and the International University of Monaco (IUM), Jelena is also the mother of Stefan and Tara. To help her two children grow up and develop in creative and stimulative setting, she spends countless hours imagining games and ways they can learn and play. Early childhood education and development are her way of life now and Jelena is embracing this not only through her role of a mother but also through her work as the Foundation director.